this snr and g1.9+0.3 are already in the game, but they need a little bit more work. the rest is ok except sn 185, because of the image but i can look if i can use it. Hornblower, simonecinque1992, and FastFourierTransform, Thank you! Would be great if the 'Eta Carinae Nebula'' in 'SpaceEngine' would look like this. And a good place to search for signals from extraterrestrials. I bet that there are tourists there. Which tweet their friends how great it looks up close. Which tweet their friends how great it looks up close. 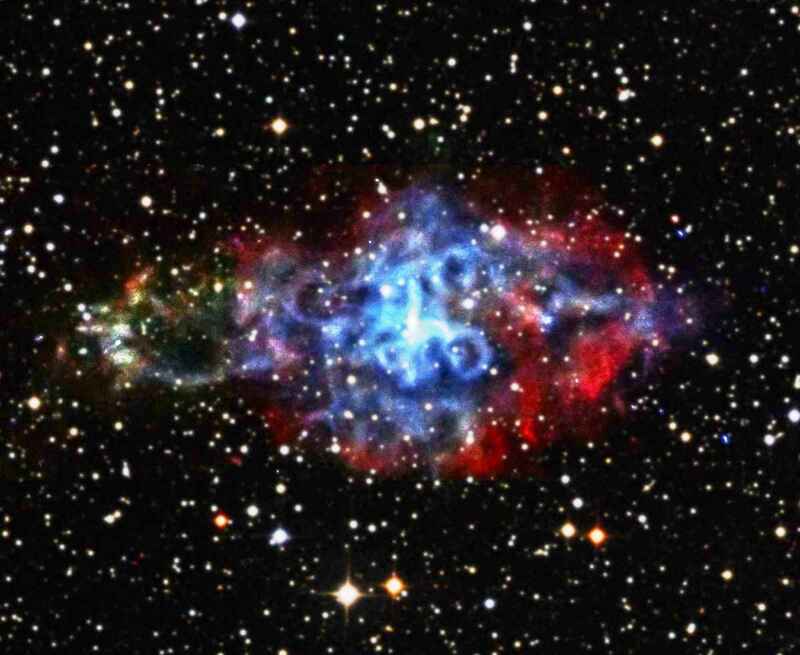 vdb 141 also called "ghost nebula"
This is always the case when we look in the universe for signals. When we eventually detect any signals that are artificial, the sender may no longer exist. But I believe that a highly developed civilization would send research vessels or robotic probes to a star like 'Eta Carinae', to examine him. The probes would perhaps send signals to their home world, that we might receive with Seti. Maybe. Although the star and the nebula would probably be a strong radio interference source. What makes you think that aliens would use radio? They may use something completely different that we are missing in our searches for life. Maybe they evolved past a physical state? And are invisible to us with no proof of their existence? steeljaw354, this is getting off topic. if you find any bug or problem please report it here! Spirograph, hourglass, and ngc 2440 invisible for anyone else? Abell 33 and IC 426 not in catalog?